Adams Junior Oteikwu aka Adam swag, born August 22nd 1991 to the Oteikwu family. He began to sing at an early age as he was popular amongst the choir folks in St Joseph Catholic Church in Minna, Niger State, where he lived most of his early childhood. He began taking music professionally in the year 2009, where he released his debut single titled “Kunjalo” which fared well around Hiltop Model School, Niger State where he finished high school. During his university days in Nassarawa State University, he also released a couple of other delightful music pieces which include, “Skontos”, “OK”, “Utombo”amongst many others. In the year 2017, he contested in the popular MTN Cream Platform and won. Some months down the line, he advanced and won the “NYSC Camp Idol” worth 5 million Naira in a Record Deal with Don Sylvester Records. 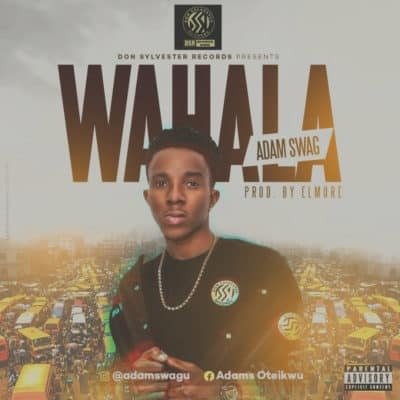 Adam Swag is a contemporary afro – soul artist who is here to change the face of the Nigerian music industry with his dynamic genre of music.